Summary: Bond's loyalty to M is tested as her past comes back to haunt her. Review: Persuasive and confident British agent, 007, is back by the hand of Sam Mendes (“American Beauty”, "Road To Perdition", “Revolutionary Road”). Daniel Craig impersonates the famous agent for the third time, in a movie where spectacular chasings, impossible escapades and advanced technology will delight the fans. Personally, I have one or two things to add that had influence in my rating. 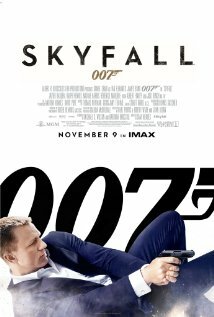 First: 007 used to be humorous and astute, but in “Skyfall” these details were left behind in detriment of the technically impressive action scenes. Second: I really miss Sean Connery! If you like sturdy action, where the impossible becomes possible, this certainly is a film for you.